There’s a saying which goes: “Two is a crowd and three is a party”. This couldn’t get any better for Jackrabbit’s new concept of dishes, which was only launched to public a few days ago. This time round, the new Executive Chef Nizar Achmad attempts to indulge your senses with three signature “Trio” dishes. 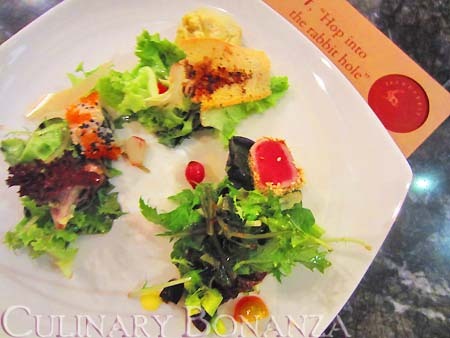 Highlight of this salad is the partially cooked tuna chunk wrapped in crunchy sesame seeds. Normally, the dressing is in liquid and poured over the salad. However, the shoyu jelly cubes is such an interesting way to dress the salad up without overpowering the other ingredients. There aren’t many restaurants in Jakarta that serve dishes containing artichokes. So, here’s a good news for you who miss this green, because now you can satiate your cravings with Jackrabbit’s refreshing version of grilled artichokes. Sushi and salad, whoever thought that they could actually make a great pair? 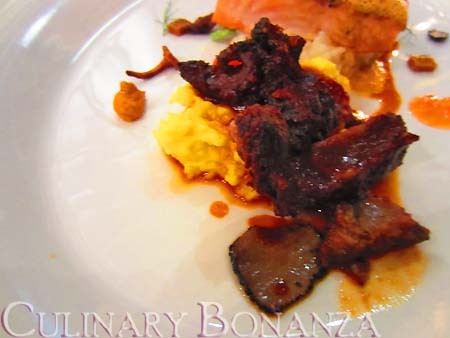 Now, let’s proceed to the Trio Main Course, shall we? 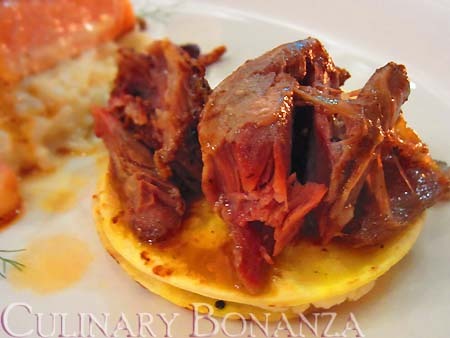 The long cooking hours tenderized the lamb shanks which rest on top of a flatbread goat-cheese sandwich. 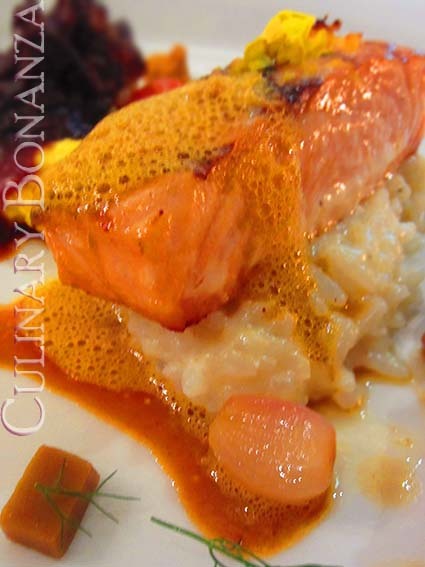 The salmon is marinated in advance and by the time you order it, the sauce would have soaked thoroughly, to give you a rich, grilled salmon. And there is always room for dessert, right? 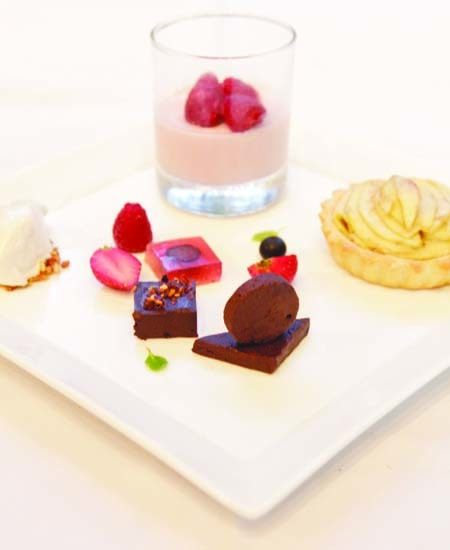 Especially for the Trio Dessert which consists of Raspberry Panna Cotta, Jackrabbit Homemade chocolate Truffles (available in Whisky, Chilli & original flavours) and Apple Pie. The apple pie is accompanied by such an unusual homemade gelato, made from tropical spices like cloves, nutmeg, cinnamon, etc, that you will either love it or hate it. Which side do you think you would be?